Aaron is a development leader and dev relation manager at Conclurer. He is also a conference speaker and author with focus on Web Components and NodeJS. Web components are the Lego bricks of web developers. Websites and web application could be easily developed and modularised with different web components. Web components are separated from the application logic and enables the reuse inside different projects and could be used for micro frontend development. 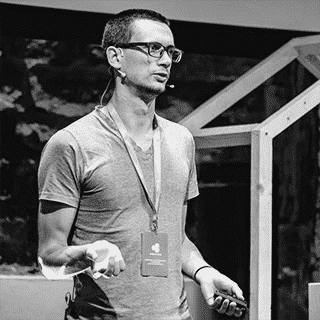 This talk gives an overview how and where web components could be used. It doesn’t matter if it’s website, web applications or for running web applications inside another web application (and another framework). We taking a look at different libraries, the web component APIs and how to develop, manage and publish web component libraries.